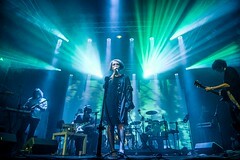 While the definition of what constitutes psychedelic music encapsulates such a broadly defined church, Poland's SpaceFest! appears to have accomplished its true meaning in every possible way. Now in its eighth year, the two-day festival (three days if you include the unofficial SpaceFest Day Zero pre-party - more of which later...) brings together the very good and the great from the world of experimental music. Having moved premises last year to Klub B90 in the heart of Gdansk's shipping area, it finds itself taking place in the same location once again. Indeed, a space of this size and capacity lends itself quite comfortably to an event like SpaceFest! Spread across two rooms, the main hall extending so far it accommodates the main stage, bar, a large seating area and merchandise stands yet still provides enough space for the festival's 2000 wristband holders without anyone ever becoming claustrophobic. SpaceFest! understandably focuses on promoting the country's - and indeed region's - understated experimental scene, yet there's also a heavy emphasis on less celebrated rather than heavily recognised acts from around the globe. Which means Mexico City-based duo Sunset Images rub shoulders quite convincingly with the slightly more established Medicine Boy. Indeed, the former's set on the newly introduced second stage draws one of the biggest audiences of the weekend. Musically falling somewhere between the repetitive diligence of Can and The Soft Moon's post-punk leanings, they're one of many discoveries worth keeping an eye on over the coming months. On the other hand, the latter bring the mood down somewhat, their sombre melodies veering between Nico's desolate undertones and Mazzy Star's delicate, lovelorn mantras. Beforehand, fellow Berlin dwellers Gewalt provide a masterclass in industrial noise that owes as much to metal as it does punk or psychedelia. Frontman Patrick Wagner cuts an imposing figure while the two-pronged guitar and bass onslaught either side of him alongside a drum machine that goes by the name of DM1 providing the backbeat. 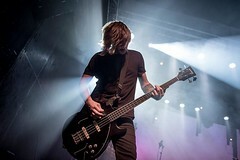 Astonishingly they were only added to the bill forty-eight hours before the festival started as late replacements for Sonic Jesus, whose hapless transit van brought their European tour to an untimely halt. However, judging by the response from the huge crowd assembled out front and ensuing queue afterwards by the merch desk, their name will be on many bills going into next year. American trio Nest Egg drew the short straw in opening Friday's festival and while initially playing to only a handful of people, those numbers soon multiplied at an early point of the set. Hailing from Asheville, North Carolina, Nest Egg have earned a name for themselves this year courtesy of excellent second LP Nothingness Is Not A Curse, and their fiery space-rock is a joy to behold. Some elements are reminiscent of early A Place To Bury Strangers, others like a more dissonant Loop. Staying with America but switching to the south, Brazilian trio Rakta describe their music as "punk rock made by witches" and while the band's make-up owes more to the tribal sounds of the Andes played by a grungier version of The Slits, they too are another previously undiscovered revelation. Once again highlighting the lengths SpaceFest! 's organisers have gone to in putting together such an extraordinarily diverse line-up. The previous evening, DiS finds itself invited to a secret gig of sorts. Held at a disused warehouse in the Stoczia Cesarka shipyard area, it's a proper old-school event that reminds us of rave and acid house gatherings from the late eighties and early nineties. Directions are handwritten on hastily constructed signposts as the entrance looms closer in the background, while door staff stand outside huddled around fire grates holding clipboards where basically if your name isn't down, it's unlikely you'll be allowed in. Organised by local venue and promoters Cafe Lamus, it's DIY in its most primitive form and for that reason, is also quite a welcoming atmosphere once inside. Attracting sponsorship from the Brooklyn Brewery of all people enables the gig to happen in the first place, and of the three Polish bands on the bill, it's the middle outfit NeNe Heroine that impresses the most. Unbelievably playing their first ever show, the band mix post-rock passages with experimental jazz fusions which as a result sound as if concocted on another planet altogether. Bewildering yet beguiling at the same time, their set ranks as one of the finest witnessed all weekend. Saturday finds the UK contingent in fine form. 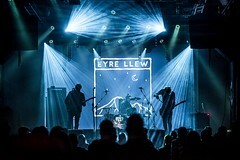 Nottingham ambient rockers Eyre Llew deliver a polished set including one unreleased song ('Nova') from their forthcoming EP which comes out in April of next year and comes from a far heavier and darker recess than the band's previous output. Having just completed their second tour of Asia in twelve months, the trio look set to have an even more prosperous 2019 if this evening's performance is anything to go by. Also delivering an immeasurable performance are Carlisle four-piece The Lucid Dream, another band loosely attached to the psych-rock movement yet musically more in tune with the all-encompassing melting pots of people like Primal Scream, The Longcut, and The Beta Band. With post-punk, rave and dub elements present in their music alongside transient rock and experimental pop, they've gradually become one of the most exciting bands to emerge from these shores in recent years, so it shouldn't come as too much of a surprise that SpaceFest! takes them to their hearts, particularly as the band's set, heavily leaning towards last two albums Compulsion Songs and Actualisation, creates an industrial death disco John Lydon would have been proud of back in the day. Of course, the centre point of every SpaceFest! is its annual guest curated Pure Phase Ensemble. If last year's edition hosted by Maciej Cieslak drew a mixed response from the crowd, mainly because its theme was to recreate silence through sound, the 2018 version proved a more engaging success. This is down to the curator, former Spacemen 3, Spiritualized and Dead Skeletons (to name just 3 of the 35 bands he's played with!) bass player Will Carruthers taking a more inclusive approach with the assorted bunch of musicians at his disposal. 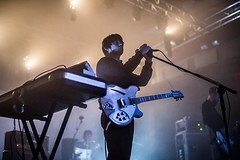 Indeed by the fourth day of rehearsals, they'd already put together a cohesive set and while much of it was based around playing one solitary note, it worked on every level, largely because Carruthers and collaborators decided to embrace an array of musical styles, taking Spacemen 3's Dreamweapon recording from 1988 as a source of inspiration. Astonishingly, this was also Carruthers' first live musical performance for five years, his last also having been at this festival in 2013 for what eventually turned out to be Dead Skeletons final performance. Despite that and the fact none of the group had even met let alone played together this time last week, they pulled it off in exceptional fashion. Enlisting the services of local hip-hop artist Piotr Kolendo to rap on a couple of numbers having only met in a club after rehearsals had finished added even more depth to the collaboration, as songs with basic titles like 'Synth Song', 'Rhythm Song' and 'Radio' became single note epics for one glorious evening. 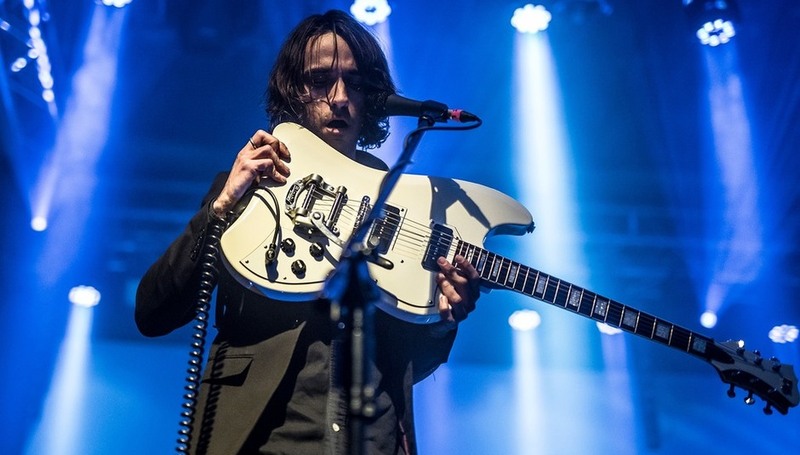 Local heroes Spoiwok brought their Caspian inspired post-rock feast to SpaceFest!, unsurprisingly going down an absolute storm, as did Wroclaw electronic experimental trio Pin Park. As Christmas draws ever closer and 2018 to an end, there's no better festival of music to celebrate the dawning of a new era. Roll on 2019.